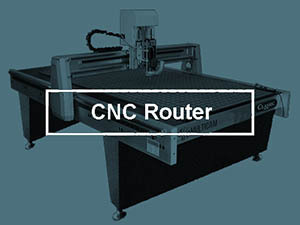 Vacuum Tables are often the best solution for the flat sheet work often being done on CNC Routers. You can lay an MDF spoilboard right on top of a vacuum table and it’s porous enough to still pull a vacuum. Granted, unless you have a lot of vacuum available, you may want to seal part of the spoil board so the area receiving the vacuum is limited. 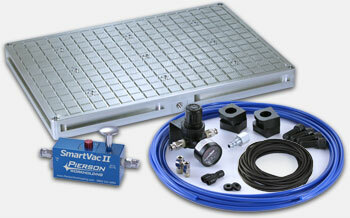 Vacuum tables can be set up with zones that can be turned on and off with valves as well. 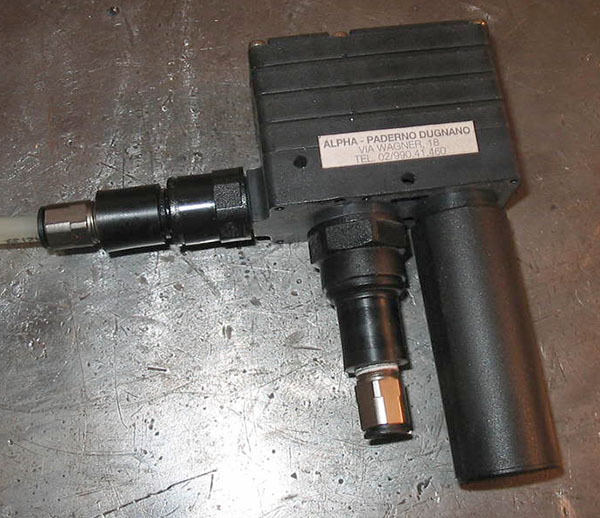 Note: If you’re looking for information on Vacuum Chucks and Fixtures for VMC’s, we have a page for that too. 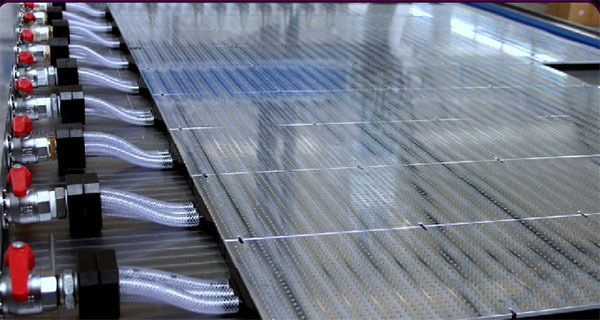 Vacuum Tables generate hold-down force because of the difference between a vacuum under the part and atmospheric pressure pushing down from above. Every square inch of area exposed to that difference can have a force as much as 14.7 lbs pushing down on it (the difference between 0 and sea level air pressure). The hold-down force is proportional to that pressure difference and the surface area exposed to the difference. A large area on a large part can have significant force. A 10″ x 10″ square part potentially has 100 square inches times 14.7 lbs per square inch or almost 1500 lbs of holding force! Meanwhile, small parts have much less force holding them down. It’s important to be aware of that difference. Now in order to keep the part flat, and not bowed, we want it to sit flat on the vacuum table. We may not get much vacuum anywhere except where the chambers are. In that case, it is the surface area of the chambers and not the surface area of the part that will determine the hold-down force, and that’s much less than the surface area of the part. 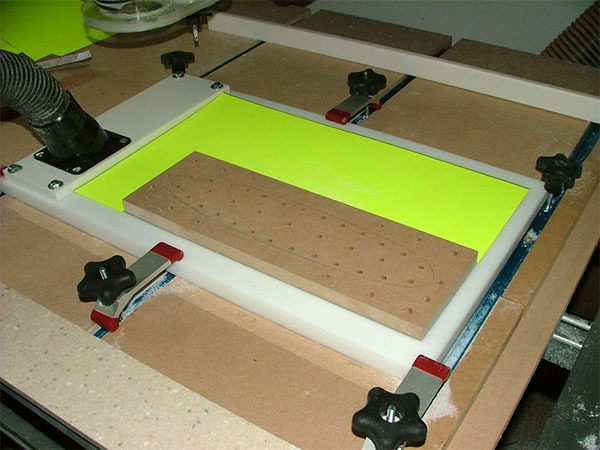 Most CNC Router Vacuum Tables avoid this problem by using an MDF board atop the vacuum table to spread the vacuum. MDF is porous, so vacuum goes everywhere. This works well, but it does require a vacuum pump that can pull a greater volume of air through because the MDF will leak wherever there’s not something lying on it. 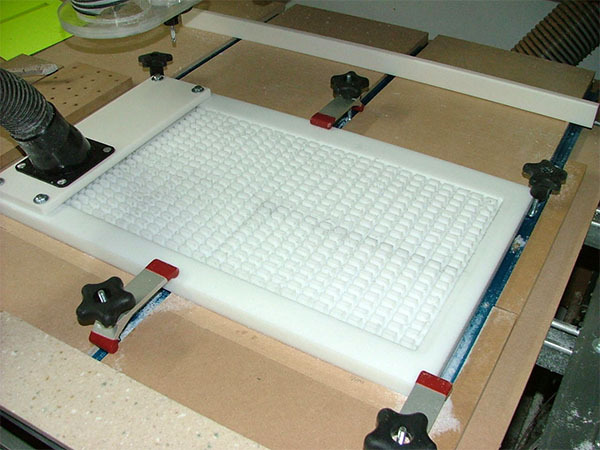 Just as MDF can be used to spread the vacuum, your part may leak vacuum if it is made of anything permeable (foam board, MDF, that sort of thing) or if you introduce too many through holes into it during the machining. The last thing to know is that there are two forces trying to upset the part on the vacuum table. One is side-force and the other is up-force. Side force is a function of friction between the part and what it is laying on. Be sure the vacuum table surface is not too slippery to provide holding against side force. Most of the time, the coefficient of friction will be such that it takes at least twice the force to move the part sideways as it does to lift the part. The up-force needed to overcome the holding force is just a function of the weight of the part plus the hold-down force due to vacuum. 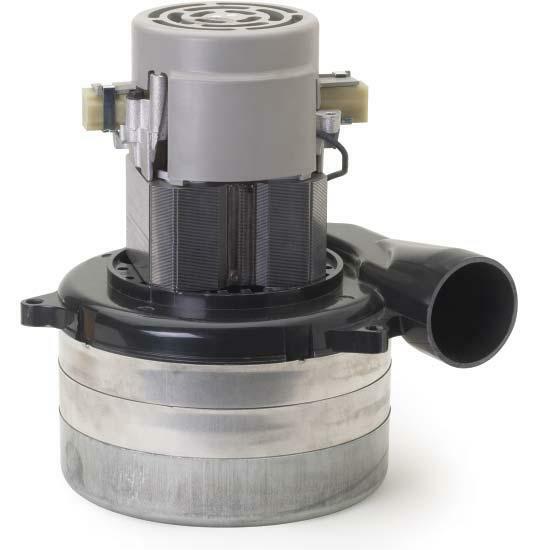 If the part is lifted even a little, perhaps not enough you can see, you’ll leak vacuum and unless your vacuum pump has a lot of capacity, the part will soon pop off as vacuum drops. If the up-force is enough, the part could even be flung across the table. 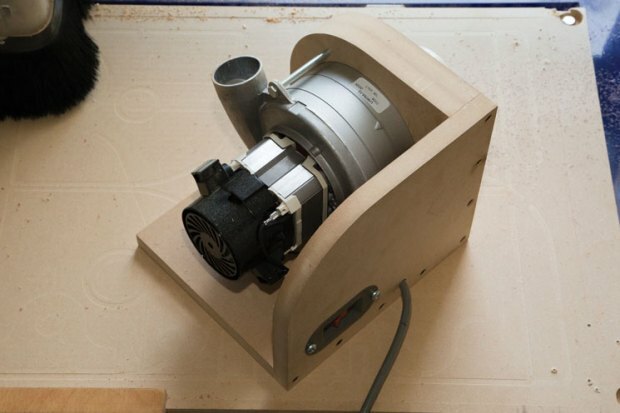 Building a vacuum table for your CNC Router (or Mill) is pretty straightforward. In this article, we go over a bunch of ideas, tips, and links to resources that will help you put together your own vacuum table project in short order. Do I need to buy or can I purchase and fit a vacuum table to my CNC Router? First thing to consider is Z clearance if you’re going to set a vacuum table atop your existing CNC Router table. You’ve only got so much travel in your Z axis and a vacuum table is going to take some of it away. Be sure to think about how to minimize that loss. This is where specifying a built-in vacuum table when you buy your CNC Router Table can have an advantage. Another important consideration is whether you’re going to create some sort of plenum design or whether you plan to actually machine your vacuum table. 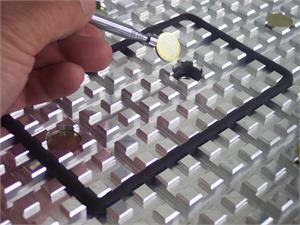 Machined tables can be more accurate–flatter and more square. They’re certainly more durable too. 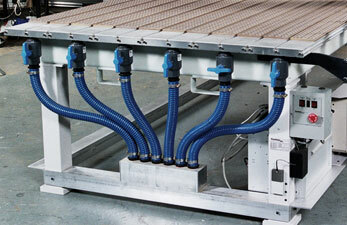 But a plenum-style table may be cheaper to build and less restrictive on vacuum passages. There is a key trade-off to consider and that is the ability of the table to support your part versus the surface area that’s available for vacuum to do its job holding down parts. If the part is resting on a surface that is not permeable to air, then only the passages that pull vacuum are exerting force. 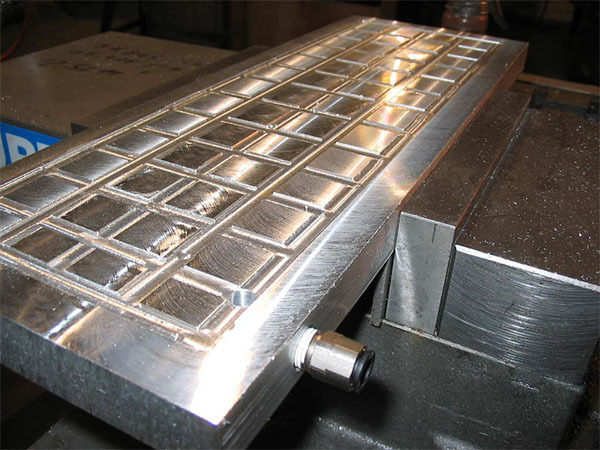 On a machined aluminum vacuum table, you only get much vacuum from the surface area of the grid and not the whole surface area the part rests on. If you try to create a cavity under the part to spread more vacuum, you run the risk of stressing the part so it is bowed in the unsupported areas if you let them get too large. 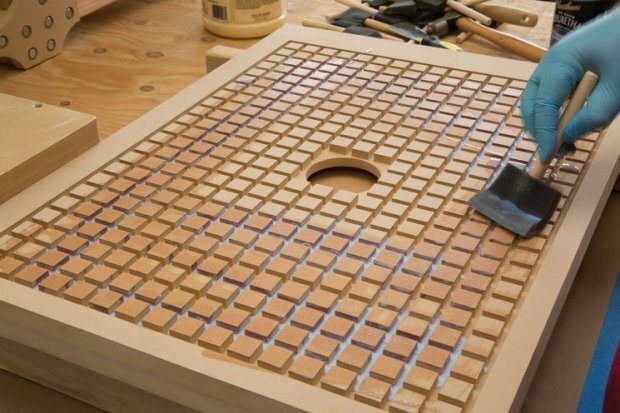 The beauty of having your top surface be something like MDF is that it is permeable, and the vacuum can access the whole surface area of the bottom of the part. However, MDF is likely a less accurate support than aluminum and it will require a vacuum source that can pull more CFM of air out because there is a much larger area that leaks vacuum. Here’s a list of photos and links to various DIY vacuum table projects. It’ll stimulate your ideas as you design your own vacuum table project. There’s a great vacuum table build over on Make. Here’s a little vacuum table intended to go into a milling chuck. There’s a complete build up described over on the Romax CNC forums. Another view of the PIAB. The long can is a silencer. These are basically just nice venturi vacuum pumps. Hard to beat the price of a used one from eBay. Regenerative Blowers are capable of moving a lot of air (CFM = Cubic Feet Per Minute), but they won’t pull as strong a vacuum. The strength of the vacuum is measured in inches of mercury, often abbreviated as “Hg”. -30 Hg is 0 pressure–a perfect vacuum. -15 Hg is about half normal air pressure. At sea level, air pressure is 14.7 pounds per square inch, so -15Hg would be about 7.4 pounds per square inch. A typical regenerative blower might generate say 4 to 5 lbs per square inch (8 to 10Hg) versus one of the other types that can generate the full 14.7 lbs per square inch. As you can see, given the same CFM capacity,. these other vacuum pump types can clamp the work significantly harder. Or, looked at another way, they can apply the same force to much smaller parts. Another way to think about it is the amount of vacuum (Hg) determines how hard the part is held down while the CFM capacity is used to deal with leaks. You either need enough CFM for all the leaks or you need to spend more time controlling the leaks. The strength of the vacuum determines how much of the air pressure is actually going to work to hold down your workpieces. Less vacuum means less pressure. But you have to trade that off against the CFM capacity. If you are leaking a lot of the vacuum, more CFM capacity is needed to keep the vacuum low enough to do its job. Vacuum Tables face a trade off between the amount of vacuum they can pull with their vacuum pump, leakage (which is working to reduce the vacuum), and the surface area of the part that the vacuum can act on. Big flat parts don’t need as much vacuum as small parts. 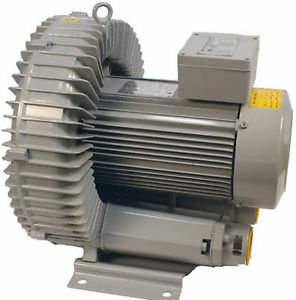 The less powerful your vacuum pump, the more time you’ll spend trying to stop leakage so that enough vacuum is left for the parts. The smaller the surface area on the parts, the more vacuum is needed to keep them solidly in place. How large a vacuum pump do I need for my CNC Router table? The bigger the table, the more pump. A rule of thumb is 25 HP on 4 ‘x 8′ table and 40 HP on 5′ x 10’. That rule of thumb leaves aside the issue of how much vacuum the pump can pull–a regenerative blower in that range is a lot cheaper than a rotary vane type. Are there tables with lower HP pumps? Absolutely! But the lower the HP, the more problems you’ll have with leaks and small parts. On a 4′ x 8′ table, 12 HP is about the minimum for good performance. The thing is, too small a vacuum pump means extra work every time you run the CNC Router to deal with leaks, work around parts breaking loose, and possibly even engineering other workholding solutions. It’s worth it not to skimp on your vacuum pump! In addition to HP ratings, consider the CFM rating. A pump will be rated on two dimensions–how much vacuum can it pull (i.e. how low a pressure) and how much air can it move to offset leaks. A leaky vacuum system with 4′ x 8′ MDF spoilboards needs 200 CFM or more to offset the leaks. The more you can seal up the leaks, the lower the CFM you can get by with. 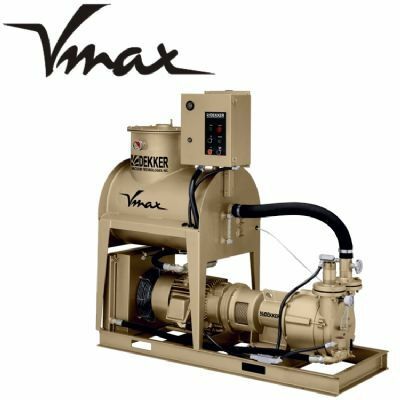 Can a vacuum pump be too large? What about multiple pumps? Now you’re on to something. If you run more vacuum than you need, you’re wasting the cost of the pump. For these situations, it may make sense to have two smaller-capacity pumps. Run one when parts are large enough they don’t need maximum vacuum for hold down–remember, hold-down force is proportional to surface area and larger parts are held more securely. Fire up the second pump for small parts. Let’s suppose you can’t afford a big expensive vacuum pump, are you just out of luck? Not at all! 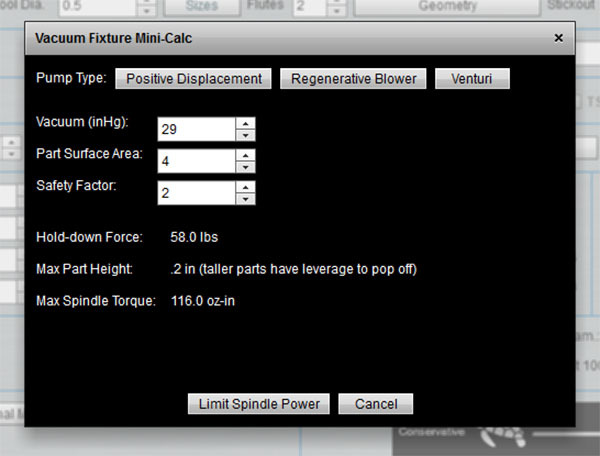 See below for how you can use our G-Wizard software to prevent part pop off even so. – Look into used pumps. A good quality commercial pump can be had used for thousands of dollars less than new. Keep an eye on eBay and Craigslist for deals. 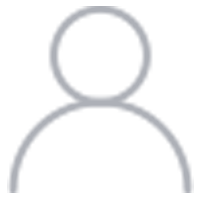 – Use a ShopVac for smaller systems. Look, you’re only going to create a 2 – 2.5 lb per square inch pressure differential with a shop vac, but you can still get a lot done there. 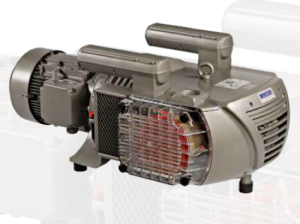 – Use multiple smaller capacity vacuum pumps possible in conjunction with a zoned plenum sysem. Referring to the zoned system above, imagine there being a separate pump on each zone. – Look into vacuum motors. These devices are used to power dust extractors, central vacuum sysems, and similar applications. They can be ideal for DIY vacuum table projects. Like the ShopVac, they won’t pull but a few lbs per square inch of vacuum, but with multiple motors you can cover a lot of plenum area. – When all else fails, meaning you can’t afford a powerful enough pump, zone your vacuum table to a size that works for your pump and get by with that. You may be able to afford a better pump sometime in the future, so why not build a table that can work with a bigger pump if one becomes available. 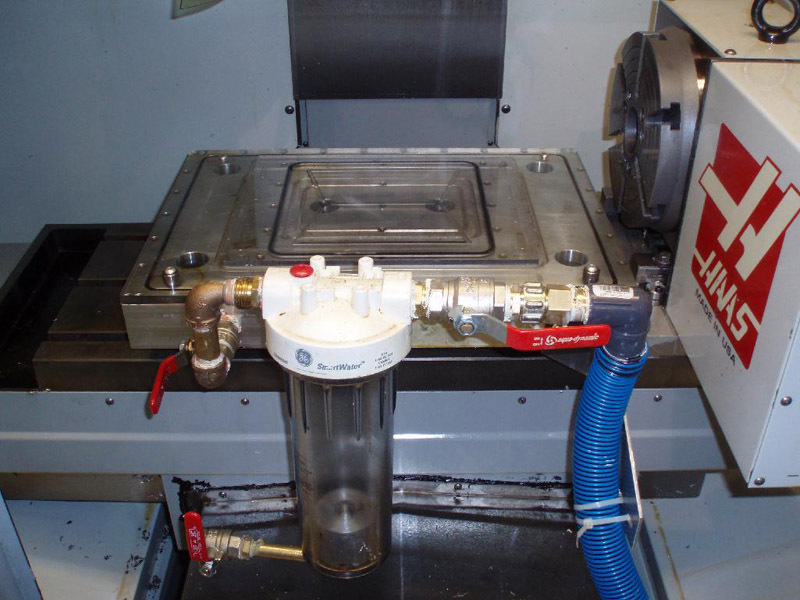 Are you using coolant with your vacuum table (hint: most CNC Routers won’t)? If so, you need a liquid separator. 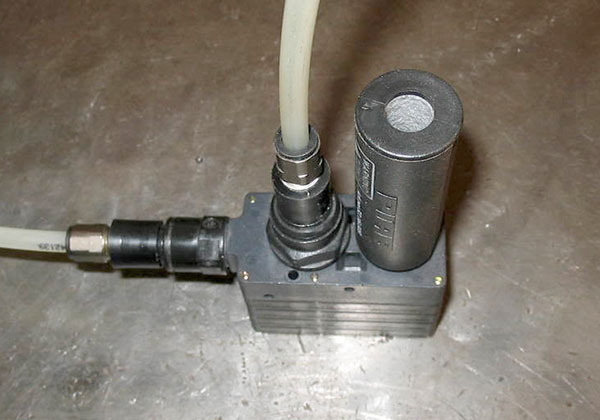 Sending coolant back to your vacuum pump is a bad idea for most vac pumps. A liquid separator can be very simple–just a tank that dumps down vertically from the top and pulls vacuum off the top. Very little liquid will be pulled from the bottom of the tank where it pools. Such a system will need a sight glass or other means of telling when it’s time to drain the fluid out before continuing. When cutting forces exceed the hold-down force a vacuum table can pull, the part pops off and is generally ruined. This is a common problem for vacuum table users, especially for smaller parts that don’t have much surface area and for users that may have limited vacuum pump capacity. 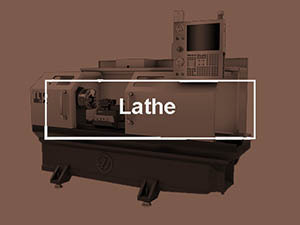 – When planning to cut a bunch of nested parts, it can be helpful to plan the cut strategy to preserve surface area and connection to overall workpiece for as long as possible to make the workholding easier. It also pays to experiment with Climb versus Conventional Milling because the direction of the cut together with exactly the order the part’s edges detach from the overall board may play a roll in whether it gets kicked lose towards the end of the cut. One approach to this is called “Onion Skinning.” It’s the practice of climb milling until you get down to a very thin layer left before cutting all the way through. 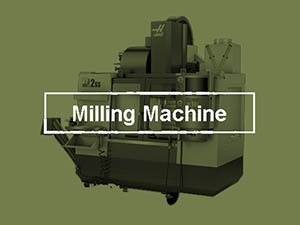 Switch to conventional milling to get rid of the last little bit. If you still have parts being kicked loose, even try a smaller diameter cutter for the final cut–it’s all about reducing cutting forces and maintaining as much vacuum as possible right up until the very end. – Software generated tabs are also very helpful with parts that are too small to be held tightly by vacuum alone. 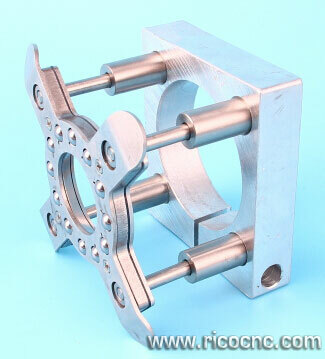 They’ll allow the surface area of adjacent parts and workpiece material to help hold down the part. 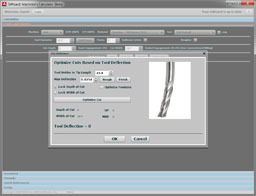 Some CAM software like MeshCAM can automatically generate the tabs for you. – Keep your spoilboard clear of dust and debris. Dust picks up the part, encourages leaks, and acts as a ball bearing to make the part slide around on the dust particles. None of that is helping. – Fly cut 50 thousandths or so off the top (and bottom if you can) of the MDF spoilboard. 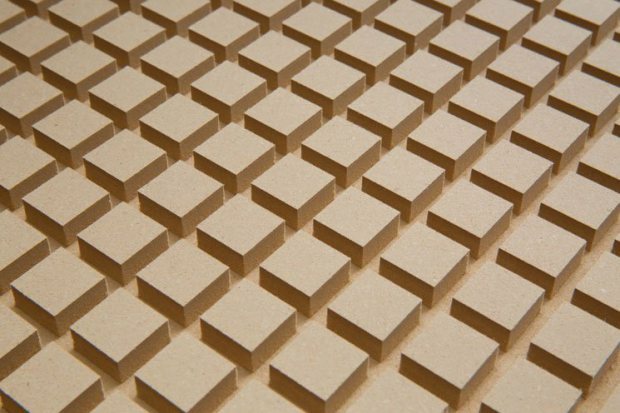 The top and bottom are denser due to the manufacturing process for MDF and flycutting away the densest material will allow the air to pass through the spoilboard more easily. 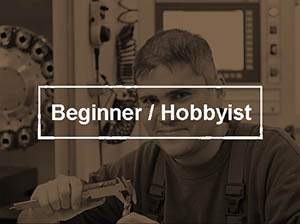 – Here’s another tip: minimize the cut-through or extra depth of cut extending below the part into the spoilboard. This will reduce the leakage compared to deeper channels cut into the spoilboard. – Sometimes the spoil board is flowing air a little too freely and your pump can’t pull enough vacuum. Stack two boards to reduce the airflow and you may find you get better grip. In addition, the top board can be thinner and replaced more cheaply when it gets cut up enough. – While the table/plenum edge may have a gasket to prevent leakage around the edge of the spoilboard, you may find you can reduce leakage even further by taping the edge to get even more vacuum. – Leak detection: You can purchase an ultrasonic leak detector that will find leaks in your vacuum system’s plumbing that are robbing your system of performance. Don’t want to spend the money on a leak detector. Wrap things with plastic cling wrap (Saran wrap). It won’t last, but you’ll see pretty quickly where the film is being sucked down by a vacuum leak. – Sometimes it’s more economical to run two vacuum pumps of smaller capacity rather than one large one. Run one of the small pumps for big boards and parts with a lot of surface area for clamping. Fire up the second pump for problematic small parts that don’t have enough surface area. 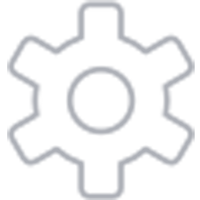 – Use 1/4″ ply or other materials sandwiched between the MDF spoilboard and the vacuum plenum to block airflow to specific zones. The ply is not as porous as the MDF. – If you’re having a hard time holding down porous material (your whole workpiece is one big leak! ), consider laying a sacrificial piece of non-porous over the top. – Beware of leaks, but also beware of flow restrictions in the vacuum plumbing, especially if you’re running a powerful vacuum pump.Gasketing can help minimize leaks by channeling the vacuum to where it is needed and blocking edge leaks. Kinks in hoses are prime soources of flow restriction, but there can be others as well. – It’s often helpful to be able to manage the available vacuum by parceling it out to zones on the vacuum table using valves or other mechanisms. 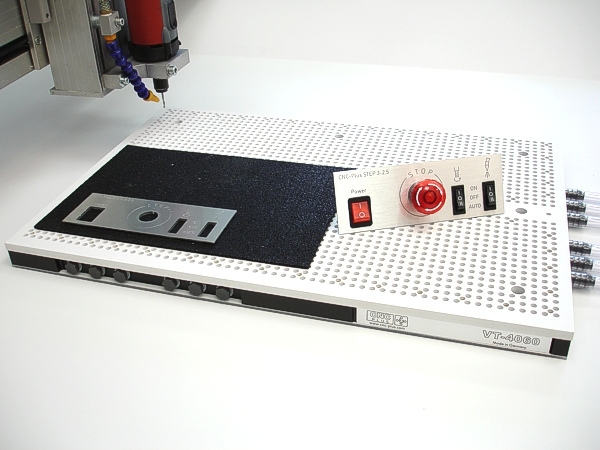 – Need to flip parts on a vacuum table and keep things lined up? You’ll need to provide some way to align the parts. Dowel pins are a common solution. Either put holes in the parts and table (sacrificial MDF bleeder board only!) that match up with dowel pins for alignment, or arrange the pins to act as work stops against the part sides. Using the part sides only works if the part is symmetrical so flipping it will still line up against the same stops. But if you can use pins in holes in the part, you can arrange the holes to be symmetrical regardless of the part shape. – What if your parts are shifting or sliding on the table without picking up? This can cause problems, but there are a variety of solutions. You could use the tabs described above. You could use dowel pins as stops against the sides to stop the sliding. You could use a sticky but porous mat material between the part and table to make it harder to slide. Or lastly, you could leave a thin layer of material when cutting out the parts that preseves the vacuum. When all the cutting is done except for the thin material, go back and finish cutting through it. Because the material is so thin, cutting forces will be much smaller and you’ll be less likely to slide the part around. – Resurface the sacrificial bleeder board every now and then to keep it flat. When it gets too thin, replace it with another bleeder board.